Valverde, 36, is now tied with Italian rider Moreno Argentin with the second most victories at Liège-Bastogne-Liège. Only Belgian cycling legend Eddy Merckx has more, with five wins. After crossing the line, Valverde dedicated his victory to Italian racer Michele Scarponi, who was killed in a training accident on Saturday. He said he would donate his prize winnings from the race to Scarponi’s family. 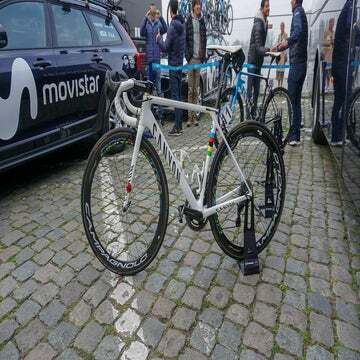 Valverde came into the race as the heavy favorite, having won Wednesday’s La Fleche-Wallonne race for a record fifth time. 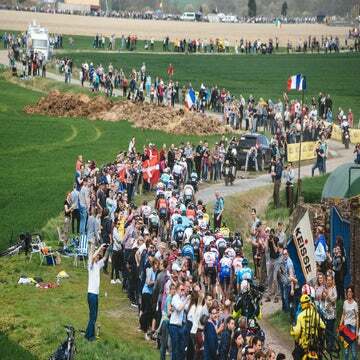 As the peloton rumbled into Liège for the finale, however, Valverde appeared to be caught out by the aggressive Cannondale-Drapac squad. Cannondale’s Davide Villella attacked up the Cote Saint Nicholas alongside Sergio Henao (Sky). After the peloton reeled in the move, Cannondale’s Davide Formolo sprinted off the front and opened a 10-second lead. Formolo kept his advantage until the final kilometer and began to fade with 800 meters to go. That’s when Martin attacked from the bunch, opening up a sizable gap on the final uphill drag to the finish in Ans. Just as Martin caught Formolo, Valverde sprung from the bunch and slowly reeled in the Irishman, who won Liège in 2012. Valverde caught Martin with 300 meters to go, and sprinted around him for the win. The victory caps off an impressive spring for Valverde, who turns 37 this coming Tuesday. He has won four stage races — the tours of Catalonia, the Basque Country, Andalusia and his home region of Murcia — already this season, and two one-day classics.